Here are some sample books published by IISTE recently. To publish your manuscript with IISTE, please contact the IISTE editorial team via Email, book@iiste.org. To make an order of published books, please contact the logistics team via Email, order@iiste.org. 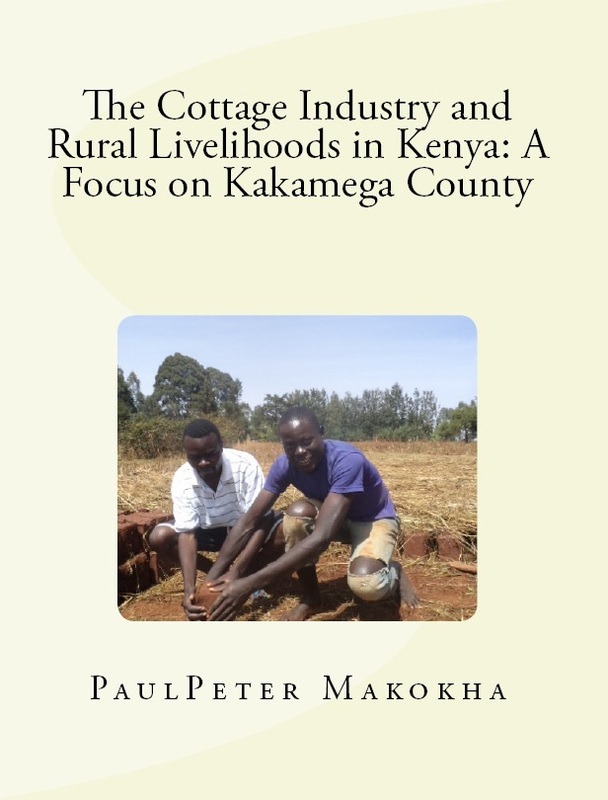 Cottage industries, also referred to as household-based industries in this research study, are production units mostly based in homesteads, which make use locally available raw materials, are driven by fuel or manual power and skills, and whose products end up in the local market. The general objective of this research study was to examine the role of household-based industries in the socio-economic transformation of rural areas, basing its conclusions and recommendations on a case study of Kakamega County, Kenya. The specific objectives were: to document the forms of household-based industries existing in Kakamega County; to highlight the profiles of household-based industry proprietors and labourers in Kakamega County, and to assess the contribution of the household-based industries in Kakamega County in the creation of wealth. A sample size of 226 respondents was used for the study. Manda, Mukhonje and Kivaywa sub-locations were assigned 70, 82 and 74 respondents through proportionate random sampling. Systematic random sampling was applied in each of the sub-locations. The household-based industries documented in this study were: earthenware production, unrefined sugar production, brick production, liquor production, masonry, carpentry, herbal medicine extraction, charcoal production, weaving, pastry production, cycle repair, flour production and shoe production and repair. The profiles of household-based industry proprietors and labourers looked into include: the reason for location of industry, mode of ownership, duration of ownership, duration of employment, state of the industry, nature of employment, type of employment and change in the number of labourers. Household-based industries carry out a key role in the socio-economic transformation of the rural zones in Kenya. Seventy-two percent of household-based industry proprietors invested using income generated while 28 percent did not. Therefore, these industries created wealth through investment. Most household-based industries (66 percent) employed 2-4 labourers whereas 15 percent of them employed more than four labourers. In other words, jobs were created by the cottage industries in Kakamega County, Kenya. Published by IISTE in United States. ISBN 978-1-62265-155-9, ISBN-10: 1622651553. To get a copy of the book, please contact order@iiste.org. Islamic banking is considered as an alternative to the conventional form of banking system as it provides financial services in accordance with the shariah. The adoption of this form of Islamic banking is gradually taken the centre stage in the parlance of the financial world. 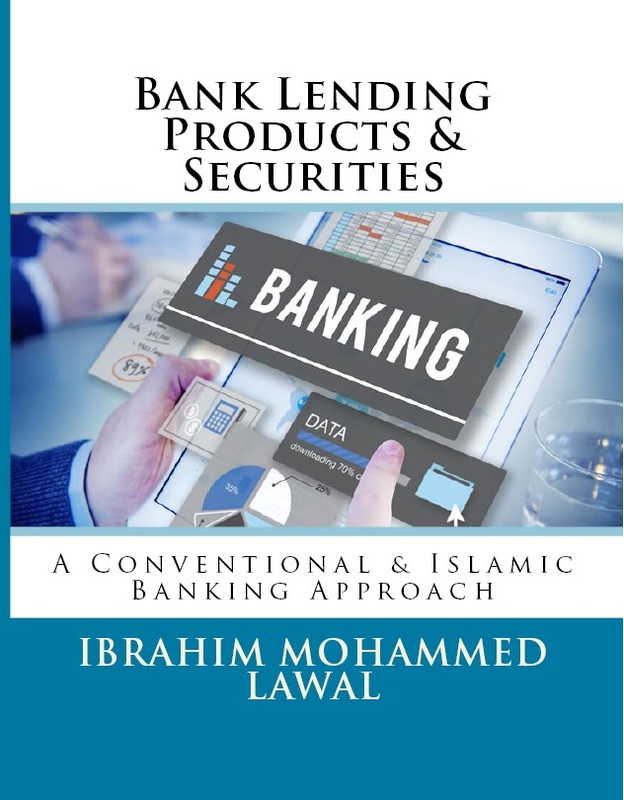 This book tries to explore comprehensively both the Islamic and the conventional banking approach in relation to bank Lending products and securities (Collateral). This book is divided into ten chapters. Chapter one sets out to give an overview of the conventional banking system where its origin, definition and its various types was discussed. It also introduces the concept of lending as well as highlighted the various cannons that govern lending. Chapter two discusses the major lending products that are obtained in the conventional banking system such as overdraft, import overdraft, import and export finance facility, foreign currency loan, letter of credit confirmation line, invoice discounting facility, local purchase order, term loan, direct credits, leases, loan syndication, specialized loan. The chapter ends by also highlighting some of the retail loans. Chapter three proceeded by introducing the concept of security (collateral) its various features in order to ascertain when a security is good or not. The chapter ends by highlighting some of the benefits attached when obtaining security (collateral) when it comes to lending. In chapter four, the various forms of securities that are acceptable by conventional banks was also discussed. Amongst which are land, debenture, stocks and shares, life insurance, cash deposit, guarantee. Other types of securities were also mentioned such as equipment lease agreement, assignment of debts, factoring, bonds and money market instruments. The concept of Islamic banking was introduced in chapter six, its origin and its current performance in the various regions of the world was discussed. The chapter ends by discussing further the principles that are guiding the operations of Islamic banking. Chapter six sets out to examine the various sources of funds that are available for the smooth operation of its activities. Basically the sources that are avaibale internally and externally was mentioned. 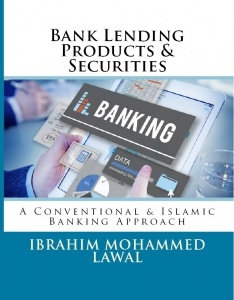 Chapter seven dwells deeply on the various lending modes that are obtainable in Islamic banks. Amongst which are Murabahah, Musharakah, Mudarabah,, Ijarah, Istisna’a, Tawarruq, Bai-salam etc. Chapter eight focuses on security in an Islamic perspective. Its types in islam and also discussed the position of security in Islamic banking on whether it is acceptable or not. Chapter nine discusses the various forms of securities that are acceptable by Islamic banks which was discussed based on an Islamic approach. Amongst which are land, debenture, stocks and shares, insurance (takaful), cash deposit, guarantee, Islamic Bond (Sukuk) other types of securities were also mentioned such as Ijarah lease agreement, assignment of debts (Hiwalah), and factoring, Islamic money market instruments. The book ended by examining the difference and the similarities between Islamic banking and the conventional banking. Published by IISTE Publishing in the United States ISBN-13: 978-1622651542 and ISBN-10: 1622651545. To get a copy of the book, please c ontact order@iiste.orgEvery Width of Language grew out of an attempt to look at language beyond its usual perspectives. Many existing texts either provide introduction to the fundamental aspects of those perspectives or practical application of those ideas, attitudes and skills valuable of them. Therefore, I found myself in the position of gradually developing materials and even methods on the unusual dimensions of language. Within one year, these materials were ready for a text. Two additional months of writing finally produced this text. As a language text, Every Width of Language provides basis for a basic and applied language course; equally as a supplementary text, it could be used by users alongside others as what could help them identify, elucidate and apply their knowledge, feeling and skills of language to a particular case study. This is besides it introducing its users to other unusual perspectives of language. 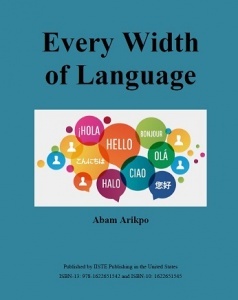 The book provides users opportunities to learn or teach the usual and unusual perspectives of language and how to identify assumptions underlying them; develop awareness why the unusual dimensions of language qualify as language; identify the class of language; the usual dimensions of language belong to; and know the dimension the four comprehension skills of language that could be used with them. This book contains all the managerial skills that accountants must be aware of in order to become a successful accountant and administrator. This book provides all the problems facing employees and managers and how to address them through the separation of organizational behavior and human resources. The book includes all legal issues and information that must be available in the accountant to be successful and there is very important legal information is necessary for the accountant to be aware of them. The book contains information about manipulating accounts and how to deal with them, as well as very important economic treatments. Managers face many of the administrative and legal problems, and these problems should be resolved either in the short term or in the long term. This book presents most of the obstacles faced by managers and how to address them. Accountants must be aware of the administrative problems they face in professional life in order to address them and are characterized in a simple and simple way, thus not delaying the work of organizations. This book discusses the economics of China and the rest of the world based on the concept of globalization theory from the history in the early 20th century to the beginning of the 21st century. 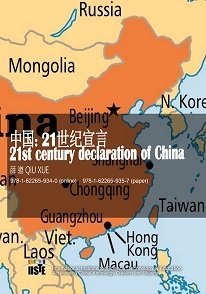 The author, QIU XUE, an expert of history in China, addressed the contemporary history, key figures, key events such as Mao Zedong, Liu Shaoqi, and other leaders in the Chinese Communist Party (as the root of the peasant political party). The establishment of socialist new China, the establishment of capitalism in China, as well as the Cultural Revolution are vividly presented in front of readers of the book. The first chapter of the first chapter is the epitome of the book; the last chapter sublimation book, the declaration of China’s expectations and warning. This textbook is intended to offer the healthcare students and providers such as medical students, respiratory and nursing practitioners as well as allied health professionals with fundamentals of respiratory system, assessments and diagnostic procedures in pulmonary medicine. 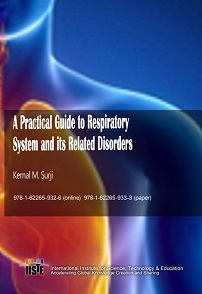 Furthermore, the subsequent chapters of the text, present the most common disorders of respiratory system, each chapter is designed to specify a specific respiratory disorder in a comprehensive format as follows: • Description of each disorder • The pathologic changes of the lungs • The main symptoms for individual conditions • The etiologic factors of disorders • Chest assessment and diagnostic procedures • Treatment and medications • End of chapter review questions This textbook provides subject material on clinical respiratory problems in an effective manner made to order for busy physicians and other health care providers. The discussions for individual topics are short, and selected chapters are accompanied by a commentary that presents supplemental information or an experienced view. The content of the book is based upon the authors years of practice as a respiratory practitioner and hospital based clinical educator in the filled of pulmonary care. As an educator, the author has taken under consideration the magnitude of student needs and learning style. Students are not attracted to busy homework assignments and long lectures regarding information they can obtain through internet. The students also become very impatience with boring textbooks having no user-friendly and comprehensible applications. They become more involved and retain information that are embedded in experiential learning and connected to personal experience. The degree to which the content of the text is relevant, practical, and applicable to the real situation is a critical issue. Students of healthcare are willing to invest time and effort into textbooks that help them accomplish their goal. Information that are applicable and concise presented in a practical application framework are well acknowledged by the students. Students in the medical field of respiratory education desire to understand what is the disorder, what are the symptoms, what causes the condition and how to diagnose and treat it. This textbook is designed to aid student through critical thinking, experiential learning method that links the classroom to the real world. This work is divided into Divergence Theorem at Manifold (Difference、corresponding to traditional Остроградский-Gauss Theorem)、Green Theorem at Manifold (Difference、corresponding to traditional Green Theorem) and Curl Theorem at Manifold (Difference、corresponding to traditional Stokes Theorem) three parts; From different perspectives of three new typical integral theorems, this work demonstrates that base on individualized geometric object (Manifold)coordinates, through matrixing operations, realize new formular conjunctions between different typical integrals; and provides corresponding numerical models; New integral formular demonstrations and numerical models indicate: Base on individualized geometric object (Manifold) coordinates, through unified standardized、concise、matrixing integral operations, science explorers can obtain analytic integral values or float integral values in discretional precision of discretional complicated geometric objects (Manifold; Especially point irregular、asymmetrical geometric shapes in 2-Dimensional and 3-Dimensional Euclidean space of real world); New typical numerical modelings possess vast mathematical、physical、engineering applicational field, involve that in 2-Dimensional and 3-Dimensional Euclidean space of real world, exact integral calculation of vector field [Electric field、magnetic field、hydromechanical field、gravitational field etc.] and scalar field [Electric potential field、temperature field、density field etc.] 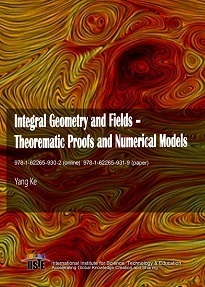 about discretional complicated geometric objects and their boundary regions,and then realize direct triple connection between calculus、topology and physical engineering calculation. The changing world calls for a mixed leadership styles, theories and models to meet the contemporary global educational leadership requirements. More specifically, contemporary global educational leadership is confronted with challenges due to the changing world. This book has reviewed hundreds of leadership styles, theories and models used by successful and effective leaders in varied organizations including the educational sector. The author has reviewed numerous educational developments across the globe to help address the educational challenges confronting contemporary world. Contemporary global educational leadership looks at the changing trends in education across the globe over the period and the way forward. The changing trend in education has come as a result of globalization, internationalization, technology, cultural differences and social media in every fiber of human society. In order to address these changing trends successfully and effectively in this our fluid world contemporary global educational leadership skills brings to fore blends of traditional leadership and contemporary leadership competencies to address these challenges. This book has reviewed over three hundred literature including books and scientific writings on leadership and education to help enhance the skills of all stake holders in education. The stake holders in education cut across the UNESCO, states, countries, educational institutions, religious bodies, parents, communities, teachers, students, academicians and the business community as a whole. This book comes handy in achieving the Sustainable Development Goals (SDG). More specifically SDG 4, which ensures inclusive and equitable quality education and promote life-long learning opportunity for all. 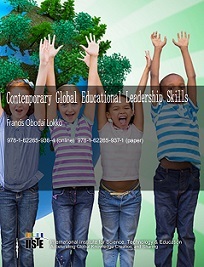 The author covers global educational developments, organizational development, situational leadership, emotional intelligence competencies, state of education, UNESCO Mission, contemporary leadership competencies, cultural diversity consideration, leadership and management theory and practices of educational leadership models. The author went on to review state of education, across the globe, emergence of education, content of Christian education, secular education, traditional educational leadership and growing greatness concept. The book covers conflict solving tools for and leaning paradigm in educational psychology. The book also considered leadership development skills in other to mitigate the challenges of contemporary educational leadership. This book is for you, go for it and get copy for a friend. 1-15 Bayesian Inference for Generalized Exponentiated Moment Exponential Distribution With Applications to Life Time Data by Kawsar Fatima and S.P Ahmad; 16-31 POLYGON DEFORMATION APPROACH – A NEW FORMULATION FOR THE TRAVELING SALESMAN PROBLEM by Elias Munapo; 32-36. Stability Analysis of Predatorprey model with ratio-dependent functional response by Ahmed Buseri Ashine; 37-42. Predator-Prey Interactions With Desease In Predator Incorporating Harvesting Of Predator by Ahmed Buseri Ashine.. This book is designed specifically for graduate students, academics, and other individuals who need to know about the key concepts of ‘research’ and ‘research design’ to perform applied research independently. The approach here is to define the concepts of ‘research’ and ‘scientific research’, to differentiate between a research ‘method’ and ‘methodology’ and to understand the basics of the ‘research process/methodology’ and its stages. 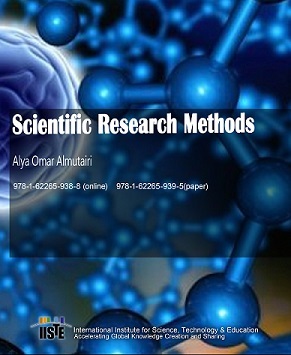 Moreover, readers will be able to differentiate and examine the differences between research methods. However, research methods are those techniques used to conduct research on a subject or topic. In contrast, research methodology explains those methods that allow research to proceed. Research methods engage specific experiments, surveys, tests and other devices. Research methodologies include the knowledge of the techniques that are used to perform or to accomplish research as well as to conduct experiments, tests, surveys and other critical studies. Hence, research methods aim to find solutions for research problems, and research methodology seeks to use the correct methods to determine solutions. Finally, readers will understand the basic format of technical research writing and the essential skills required for writing research project reports.. 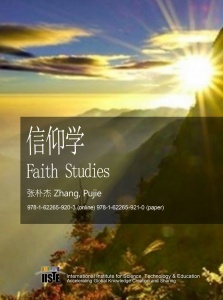 Faith Studies by Zhang, Pujie. The first part of this book discussed the belief theory and summed up key ideas from a social point of view. Moreover, due to the replacement of the object of study, the mathematical model used allow the readers use the existing economic knowledge and economic statistics and quantitative analysis to partially understand different beliefs with science. In addition, at the end of this series, the book reveals the topological principles of science of faith and builds common mathematical basis for understanding faith. The third part is about the applications of the theory of belief, together with the relevant contents scattered in the first two parts. It fully demonstrates the great applications of belief science, especially in the fields of theoretical physics and artificial intelligence. However, due to the lack of knowledge of the relevant disciplines in the field, some of the specific conclusions of this part may be subject further investigation. 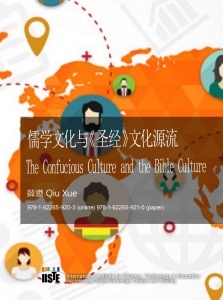 The Confucious Culture and the Bible Culture by Qiu Xue. The book addresses the culture and history of key Eastern and Western countries from a macroperspective based on 5 key historical points, namely: (1). Node 1 (starting point): 500 BC, Confucius, the Jewish prophets and other holy rise of the axis of human civilization era; node two: around AD, Augustus Christian system established and Dong Zhongshu Confucianism system established; Node three: around the twelfth century, the peak of Thomas’s Christian thought system and the peak of Zhu Xi’s Confucianism; Node four: around the 18th century, Martin Luther denies Christianity and Kang Youwei’s denial of Confucianism within the system of Christian ideology; ): The Rousseau French Revolution and Sun Yat-sen revolution end of the two ideology, enhance the “world for the public”, specify the direction of globalization of human civilization. STILL LIFE by Hongchuan Zhang. Still life, as the name suggests, it is relative to the movement of the physical movement of the state of things. In real life, there are practical and non-practical things, which is based on how human treatment of things in a rational manner. Still life is human emotional change from the rational over to the sensibility. It is not difficult to find out that the creator’s exploration of the mind is about the things around his own soul and the combination of the spirit and the emotions….. 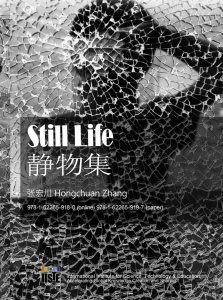 The author, Hongchuan Zhang, was born in Anhui Province of China on August 27th 1989. He obtained his bachelor degree from the Sichuan Academy of Arts, majoring in photography. He is now working as a journalist and editor in a top firm in China. 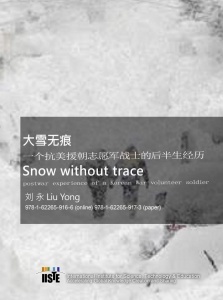 His artworks have won several awards in China and the images shown in this book have been widely distributed in the leading arts websites including Phoenix, Sohu and People’s arts network. 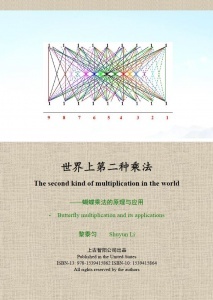 The second kind of multiplication in the world: Butterfly multiplication and its applications by Shuyun Li. Multiplication is a common way of calculating numbers in people’s lives. People have been learning the multiplication method for the more common vertical multiplication (ie, the traditional multiplication). This book introduces the new multiplication calculation process: second multiplication. According to its calculation process, it can also be called the horizontal multiplication (corresponding to the conventional vertical multiplication). According to its calculation forms, it can be also called the butterfly multiplication. The second multiplication has the following characteristics: 1. Horizontal column; 2. Simpler calculation process; 3. Good for intellectual development. This book explains the second multiplication (butterfly multiplication) principles. Each chapter provides exercises and review questions. 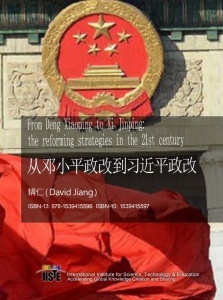 From Deng Xiaoping to Xi Jinping: the reforming strategies in the 21st century by David Jiang. Two outstanding leaders have appeared in Contemporary China, Deng Xiaoping and Xi Jinping. They started unprecedented reform and political reform, challenged the status quo and may change the destiny of the country. They witnessed Mao Zedong’s utopian violence communism and Cultural Revolution. When Deng returned for the third time, in the middle of a national crisis, he boldly denied Mao’s policy,.puting economic development in the center of the reform. After 30 years of rapid development, China becomes the world’s second largest economy. People’s living standards and international status have improved significantly. Deng is the most outstanding practitioner in thChinese history so far. Xi Jinping, the new leader, found that the root causes of corruption is the party system and proposed his own way of reform: 1. the politically turning to the left side: control public opinion, unite the left and right powers; 2. Economically turning to the right side: continue to reform and open up, aiming at improving people’s living standards; and 3. Theoretical innovations: establish the 21st century Chinese Marxism. If this transition is successful, Xi will become a landmark in the history. Deng Xiaoping and Xi Jinping deeply felt that deep reformed is needed to save the country. This book describes the two leaders’s political similarities and differences and discusses the possible strategies Xi may follow. This book is a fire that illuminates the hearts of patriots and inspires people’s passion to fight the decadent system of saving the country and transforming society as its mission, courage and authoritarian dictatorship. This book is also a beacon, pointing out the direction and goal of future democratic reform and putting forward reform strategies and recommendations. China’s future depends on the youth. The success of democratic political reform is related to the survival of the nation. The author hopes that this book can help patriotic democracy activists and realize the real reform in China. Once Upon a Time in China by George He. The story begins in 1978 in Mainland China when the hero, named George, goes to university as a freshman. He meets a girl who falls in love with him at the first sight. Her name is Sharon, one of the two heroines in the story. George likes Sharon but does not love her yet. So it is like a normal campus love happened between a girl and a boy at the very beginning. During George’s first winter vacation at university, another girl named Jane entered into his private life. She is his father’s assistant and almost five years elder than George. He has a crush on Jane since he has been a young boy. Therefore, George faces the dilemma of choosing between Sharon and Jane. One is a sweet and lovely girl like an angel, and the other is an intelligent and beautiful girl with passion and a caring personality. It is really a difficult choice for him indeed. Eventual, Sharon wins George’s heart with her sweet and pure love. They get married after their graduation. Unfortunately Sharon dies in a car accident after two years of their marriage. George is heart-broken and sad for almost five years until he meets with Jane again. Jane is still single and does not get married yet. She still likes George. They live together as lovers and have a baby after one year. Being tired of his meaningless job, George decides to resign and move to Shangri-la with Shirley, his lovely daughter with Sharon. He sets up a primary school and teaches the Tibetan children there in a Tibetan village. He and his daughter live happily in Shangri-la, a paradise on earth in the southwest of China. Jane also likes Shangri-la and she plans to join George in Shangri-la after her retirement. The story tells about George’s childhood, boyhood and his early family life with his parents, his elder sisters and brothers through nostalgic recollections. It also portrays his Platonic love with Sharon, his worldly love with Jane, his pursuit of happiness, which consists of the beauty of human mind and the beauty of nature, and also his search for the meaning of human life. This book is about the postwar experience of a Korean War volunteer soldier. The hero of the novel called: Wang Qiang, who is a glorious hero in the Korean War. He suffered from hunger and snow. His comrades, Zhang Zhiyan died and he became one of the prisoners of war. In the repatriation of prisoners of war, Wang Qiang and some comrades choose to go home. However, some of the soldiers chose to go to Taiwan……. When the Volunteer troops returned to the mainland, the soldiers had to explained how they were captured by the enemy. Because of the ideology issues, Wang Qiang was considered as a “bad guys” when he was home. His future days are doomed to be bad. The war and the experience of being captured is a major turning point of his life. His beloved girl Xiao Qin, has left him…..
2016 Research Trends in Business Issues – Conference Proceeding for 2016 International Conference on Emerging Business Issues in 21 century. 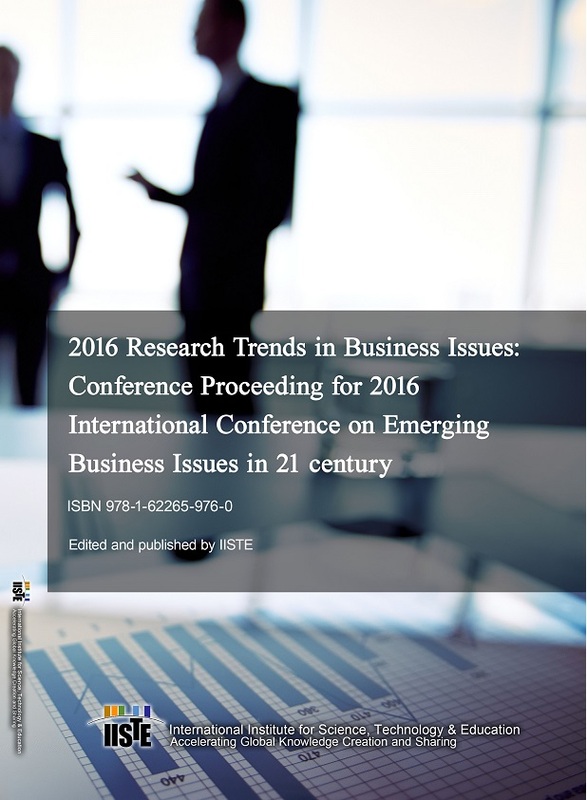 This book is published On behalf of the organizing committee of 2016 International Conference on Emerging Business Issues in 21 century, we would like to acknowledge the scholars, researchers, as well as corporation and government executives who participated in the conference in Istanbul, Turkey, at Novotel Istanbul City West Hotel. 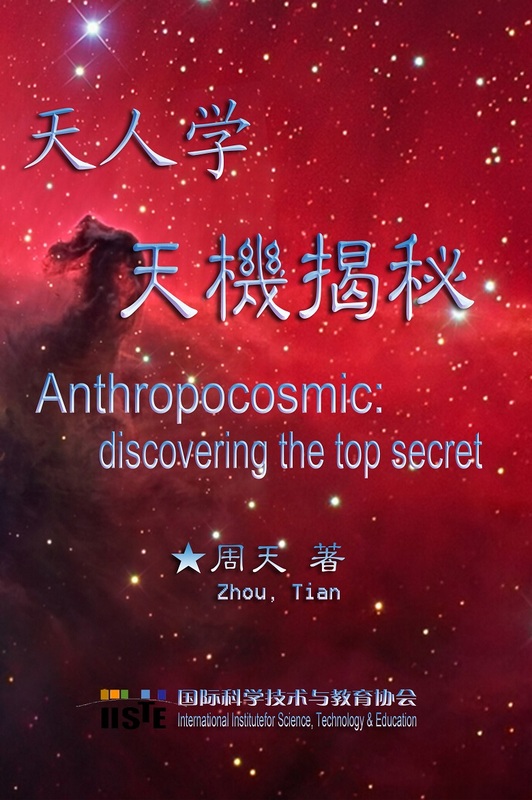 Authored by Tian Zhou “Anthropocosmic: discovering the top secret” is written by Chinese social scientiest, Tian Zhou. Color: Black and White Related Categories: Non-Classifiable / Non-Classifiable . 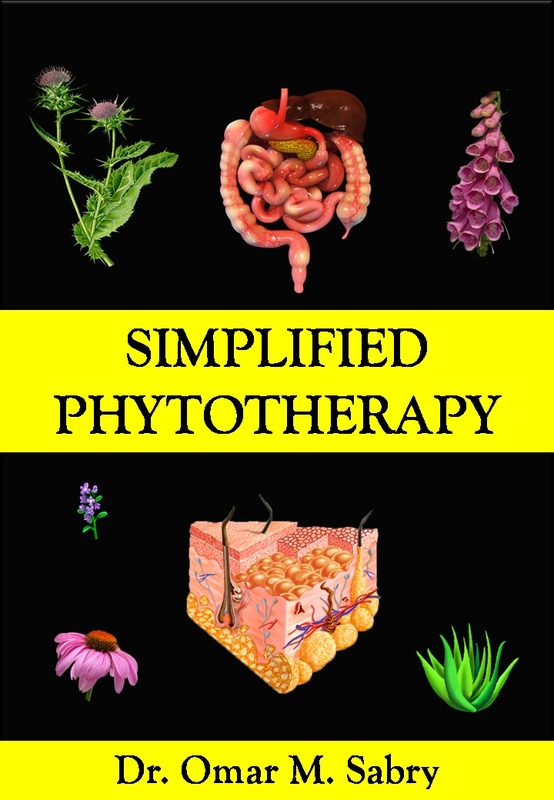 University Kasr El ainy Street 11562 Cairo – Egypt, To get a copy of the book, please contact book@iiste.org In the last decades, phytotherapy, the science of use of herbal drugs to treat diseases has returned strongly in our daily life therapy. Properly prepared herbal medicines have much lower side effects than conventional medicine. Because Herbal medicines have high therapeutic index, therefore they can be considered safe. It is essential to know how to use herbal medicines properly to treat diseases. This simple book, is making phytotherapy an easy science for medical practitioner and pharmacy students. . The book is published by IISTE. IISTE ISBN-10: 1514722194 ISBN-13: 978-1514722190 To get a copy of the book, please contact book@iiste.org This book is an effort by two people whose point of convergence is the need to rekindle Catholic education and its pivot which is ‘the human person’. 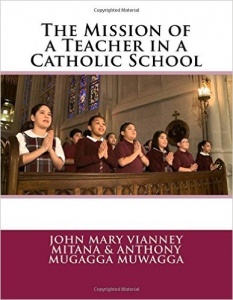 The book: The Mission of a Teacher in a Catholic school is not only intended for classroom teachers, but also the immediate Catholic school leadership, School Chaplains and other Priests responsible for Catholic schools, School Board of Governors, Parents and Diocesan Education Secretaries or any person with an aim of educating children in a Catholic school. It is a reflection and discussion on ‘what ought to be the theory and practice of Catholic Education and its implicit and explicit challenges. The two authors base their argumentations and ideas on their academic, social and professional background. John Mary Vianney has been a Teacher of Christian Religious Education, Bible, and Economics and with a lot of experience in Management of Catholic schools, he is currently the Principal at Luigi Giussani Institute of Higher Education where he also teaches Philosophy of Education, Teachers’ Professional ethics, and Education leadership and Management, while Anthony Mugagga is an Associate Professor of Philosophy of Education and Teachers’ Professional Ethics at the College of Education and External Studies Makerere University. He is also a visiting Professor at Kisubi Brothers’ University Kampala Uganda a Constituent College of Uganda Martyrs University Nkozi. John Mary Vianney and Anthony Mugagga are former-seminarians and well rooted in Catholic faith and tradition. They both share a passion for responding to the ‘Masters’ command to his disciples and to his Church: “Go … make disciples’ (cf. Mt 28:18-26). This, they feel, is not only a duty for the clergy but even the lay teacher in the school can help in fulfilling of this imperative. 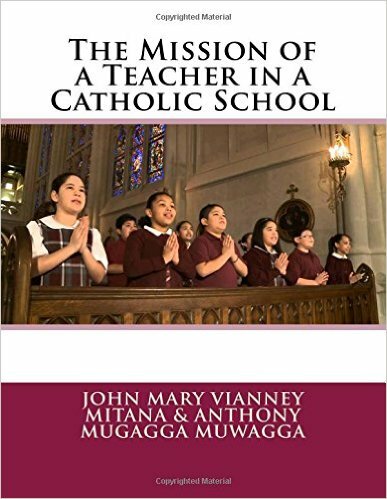 John Mary Vianney and Anthony Mugagga wish to thank the different schools and Universities, their students and fellow teachers from whom inspirations, reflections and discussions of Catholic education emanated. They also wish to thank the graduate students of Walsh University Kisubi Brothers University College 2010/2011, the staff and students of Makerere University School of Education, Luigi Giussani Institute of Higher Education, St. Kizito Secondary School, Bugolobi, and those of Namugongo Uganda Martyrs Senior Secondary school. These were very pivotal in informing and underpinning the discussions on Catholic Education in Africa. John Mary Vianney and Anthony Mugagga are also thankful to Rev. Fr. Dr Ggenza Gyavilla Musoke of Masaka Catholic Diocese for the critiques and discussions on Catholic education in Uganda. Special thanks also go to Fr. Dr Peter Kanyandago of Uganda Martyrs University, Uganda for proof reading the manuscript and giving his enriching comments. John Mary Vianney and Anthony Mugagga accept the fact that, St Ignatius of Loyola was able to do all he did because he had control over education in Europe (Betrand Russel 1966: p. 509-511). They pray that in using this book , Catholic education stakeholders will always bear in mind the Master’s saying and warning found in Mt 5:13: ‘ You are the salt of the earth. But if the salt loses its saltiness, how can it be made salty again? It is no longer good for anything, except to be thrown out and trampled underfoot.. 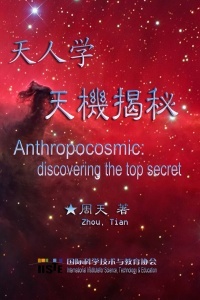 The book is published by IISTE. 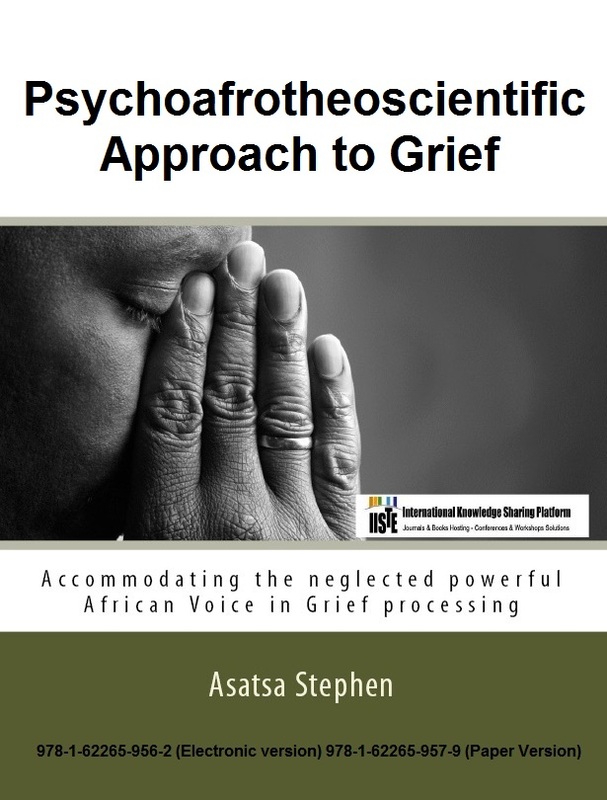 IISTE 978-1-62265-956-2 (Electronic version) 978-1-62265-957-9 (Paper Version) To get a copy of the book, please contact book@iiste.org For quite a long time, death has remained a life transition that people go through. It is a transition received with mixed reactions across different cultures, age groups, religions and nationalities. In the entire human life cycle numerous bonds are created with various people and objects. For instance a new born baby forms a bond with the mother through the nurturing behavior exhibited by the mother. When the mother interacts with the young one through eye contact, breast feeding and general care the child responds by forming strong bonds with the mother and other care givers. This process happens to other people and objects a child interacts with in a loving manner. By the time a person is fully grown, certain bonds formed are so strong that any alteration creates much pain. The bonds are not only limited to parents and care givers but also friends, work mates, lovers and neighbors among others. When death strikes a person, many related people suffer loss or crumbling of the established bonds. This loss manifests physically and psychologically. Physically the affected people experience life with absence of the significant person, object or even pet. Psychologically the victims undergo emotional pain from as a result of intangible loss such as divorce, breakup of love relationship, transfer from one work station to another, retirement, loss of job among others. Due to permanence of the loss, the bereaved usually undergo various reactions that seem abnormal to others yet very normal and real. In her book ‘Complicated Mourning’, Therese Rando, a grief expert, defines some terms used in death and loss related experiences. She defines bereavement as the state of having been robbed or the state of having experienced loss. When a person suffers loss of any kind, he or she is in the state of bereavement. She further defines grief as the reaction or response to loss. It includes physical, social, emotional, intellectual and spiritual dimensions. It is evident that when death strikes a family the survivors’ entire being reacts. Mourning, according to Rando refers to the behavior associated with grief. These are the actions exhibited in response to loss. Around the globe different cultures have various unique ways of reacting to death. 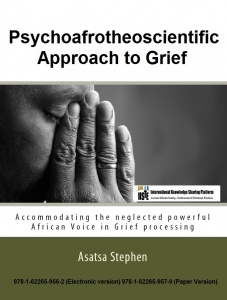 It is in expression of these various responses that individuals process their grief and return to normalcy. The book is published by IISTE. IISTE ISBN-13: 978-1622650026 ISBN-10: 1622650026 BISAC: Computers / Information Technology Online Sales here The optimization techniques have been employed to a wide range of science, engineering fields and so on. These techniques have attracted a lot of attentions from the researches in both theory and engineering fields. The optimization theory and algorithms have been a hot research issue in both theory and application areas. The intelligent optimization approaches have inspired by nature, which have provided novel ideas and new methods for solving complex problems in engineering fields. It is concluded from no free lunch theorem in optimization field that the hybridization on optimization algorithms is a very effective way to improve the performance of algorithms. 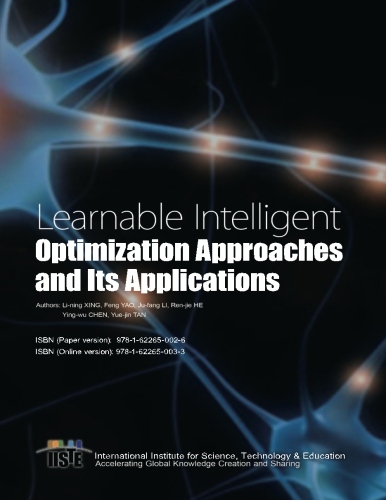 Based on the existing intelligent optimization approaches, this book proposes the learnable intelligent optimization approach. It employs the integrated modeling idea which combines the intelligent optimization model with the knowledge model. The intelligent optimization model searches the feasible space of optimization problems according to the mechanism of neighborhood search. The knowledge model discovers some available knowledge from the previous optimization process, and employs the obtained knowledge to guide the subsequent optimization. 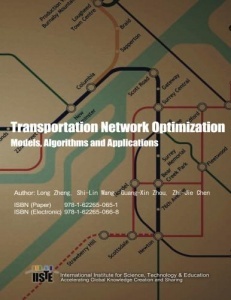 This book may be interested by the graduated students, scholars in the intelligent optimization, engineering optimization and decision making fields. IISTE ISBN-13: 978-1622651436 ISBN-10: 162265143X BISAC: Education / General Online Sales here The present book is designed mainly as a text book for undergraduate students in the department of foreign languages. 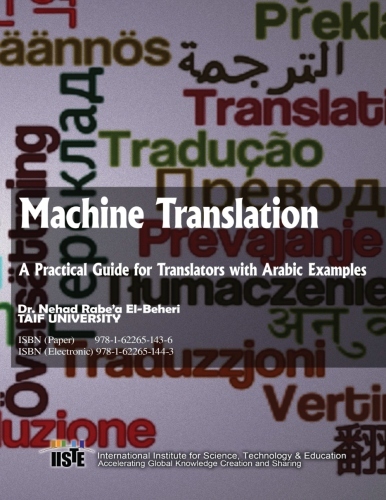 It deals with Machine translation issue which is no longer a modern issue these days. The start of MT was in the 17th century when philosophers such as Leibniz and Descartes designed proposals for codes through which they wanted to create a relationship between languages. All of these proposals remained theoretical, and none resulted in the development of anything like MT. In the 1960s, in the Soviet Union and the United States, research concentrated mainly on the translation between Russia and English. The translation mainly concentrated on scientific and technical documents. The rough translations produced were sufficient to get a basic understanding of the articles. On the other hand, if the ST had a confidential importance, the governments resorted to a human translator instead. It deserves mentioning that early systems used large bilingual dictionaries and hand-coded rules for fixing the word order in the final output which was eventually proved to be too restrictive. In the 1980th and early 1990th, there was a kind of diversity and wealth in MT systems (I.e. MT systems such as Systran, Logos, Ariane-G5 and Metal).In addition, in 1980th there was an activity in the research in machine translation .The fifth generation of computer which appeared in Japan then constituted a leap that led to the appearance of a number of modern MT systems (i.e. statistical machine translation ‘SMT’ and example-based machine translation ‘EBMT’). IISTE ISBN-13: 978-1622650651 ISBN-10: 1622650654 BISAC: Computers / Information Theory Online Sales here Based on military transportation network, the stochastic transportation network optimization problem is studied. The military transportation is an activity that realizes the displacement of military personnel and equipment materials in different space transportation lines through various transportation tools. Its aim is to guarantee the successful realization of military intentions [1-3]. And the network definition is a complex composed of fixed technical equipments in a certain space, such as several different transportation lines and military hubs [4-5]. In the military stochastic transportation network, weights of nodes and arcs are nondeterministic in time. They are also diversified in parameters and stochastic in information. Nowadays, due to abruptness of modern wars and rapid supply and transportation of security materials, the transportation network gradually steps into a large-scale, highly-complex and fast-changing state. All these demand for a military transportation network in the adaptability, transportation speed and the capacity against destructions. With the wide application of various systems, such as the intelligent transportation system, computer network, communication system, global positioning system (GPS), geographic information system (GIS) and artificial intelligent system, and the further development of modern network theory and technology, the stochastic transportation network has some new features [6-8]. And it results in new problems hard to resolve through traditional optimization models and algorithms. 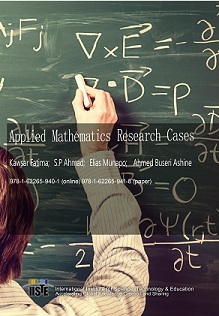 Therefore, this book tries to make a comprehensive study on these problems from the aspects of theoretical methodology and practical application. ISBN-13: 978-1490532097 ISBN-10: 1490532099 BISAC: Social Science / General Online Sales here The philosophy informing the content of this book implies that there are clear linkages between potable water provision (through boreholes), and wealth creation which leads to community growth and development. This book focuses on how the provision of boreholes have been a unique intervention and a catalyst facilitating community development in some parts of rural Ghana – the Greater Afram Plains (GAP). In the GAP, a vicious cycle of ill-health caused by water-borne and other water-related infections lead to weakness and reduced energy to work, low capability utilization which in turn lead to low income, low wealth creation and low cumulative economic capacity and chronic indebtedness. This further lead to poor households, opportunistic illnesses, and worsening physical incapacitation. This condition frustrated community growth and development initiatives. For community growth and development to become a continual reality, there should be continual wealth creation or income generation by a healthy population living within a healthy environment, such that, returns earned from high labor investments and productivity are not drained or spent on ill-health but saved and spent on households well-being and community development initiatives. The incapacitation of a productive adult, particularly due to disease such as guinea worm, always have negative spiral social and economic consequences as physical indisposition devastates and drains the limited resources in households and makes it very difficult to recover due to its cyclical nature and thus precipitates and sustains poverty which is endemic and eventually becomes a pervasive syndrome in rural communities and retards efforts at community development. The well-being of an individual, a household and a community stems from the value for labor they obtain. The best value for labor is obtained through good health and quality education for children and the youth in rural communities. Anything short of these places individuals and communities in disadvantaged, compromised conditions of inability to utilize their potential capabilities to the utmost, to be what they can or would want to be, and acquire the requisite capacity to live a life of utmost well being and constructively contribute to uplifting society through the physical, social and economic development of their communities. 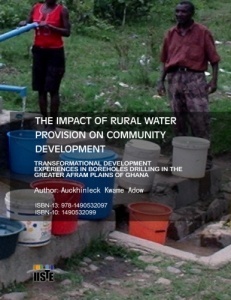 The book is structured in six chapters and intended to offer development practitioners, policy makers and the academia a modern practical perspective of how a single intervention such as potable water infrastructure provision through the drilling of boreholes in rural communities can serve as the platforms and catalyst to cause transformational development which continually improves the quality of life in rural communities. The real development transformations so experienced are not only in terms of the spatial expansion of communities, but also in the form of invaluable but unquantifiable social freedoms, economic empowerment for wealth creation, vibrant contributions to the growth of the annual national Gross Domestic Product (GDP), and finally, in irreversible gender emancipations. ISBN-13: 978-1490521855 ISBN-10: 1490521852 BISAC: Science / General Online Sales here All over the world Higher Education (HE) is considered to be a solution to development. In the case of sustainable development, it is hoped that HE contributes to competitive manpower development which will play a large role in agriculture, economics, health, ITC, social development and culture just to mention a few. Graduates are expected to be equipped with requisite skills and attitudes, knowledge, communication as well as reasoning skills in order to make a contribution to the sectors outlined above. Many countries, Zimbabwe included have a lot of faith in the role higher education institutions can contribute to the development agenda and hence the heavy investment in higher education. As academics who are key agents in HE it is imperative that we pause and engage in reflection about the status of HE. Scholars and governments note that HE institutions are threatened to have impact because of impediments arising from underfunding, low lecturer and equipment student ratios, low library stock and research facilities. In the case of Zimbabwe, there has been a high brain drain of professors leading to juniorisation of staff in faculties and departments (SARUA 2009 Handbook). The consequence of all these impediments is low quality higher education whose consequence would lead to ineffectiveness. There would be apathy among academics, the nation would lose confidence in the sector and many middle class families will send their children to universities outside the country for better university education. Regrettably, some nations have not only exported their professors in the region and beyond, but have also exported their youths because once these youths graduate few return. The laudable goal of investing in education for purposes of spurring development is consequently defeated. More information can be found on the sale page. ISBN-13: 978-1490521763 ISBN-10: 1490521763 BISAC: Social Science / General Online Sales here The major aims of this book are to: • Provide an introduction to the study of gender in social sciences for students with little or no previous social science education. The text is designed to serve both as a comprehensive introduction to the field and as a starting point for further and more advanced study. 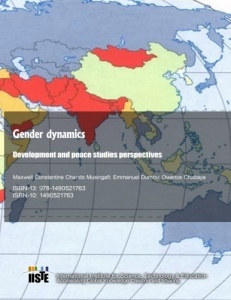 • Enable readers to translate gender and development theory and concepts into practice. • Stimulate debate by encouraging readers to adopt a challenging, questioning perspective on gender research and ideas. This book is intended for classroom and workshop use in the fields of development management, public governance, and gender and development. Study questions, activities, and case studies are included. The book is designed for both undergraduate and seasoned professional or postgraduate studies. It can be used in both formal and nonformal educational settings. This text is thus written from a multidisciplinary social science perspective While there may be other forms of socio-economic disparity in society (like race in Rhodesia and apartheid South Africa), gender inequality is more pervasive than other forms of inequality. Thus, understanding the causes and consequences of gender inequality should be of concern to all societies in the world, rich as well as poor. 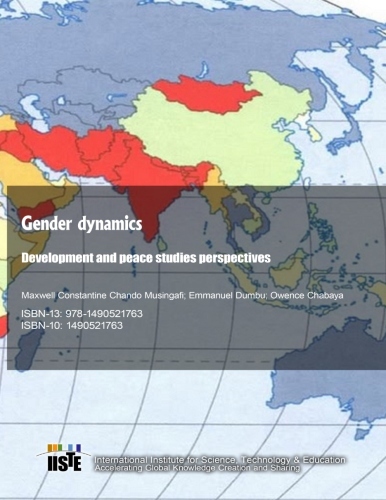 Gender inequality is pervasive across different groups within societies. Within a society, the forms taken by gender inequality may vary across different strata, though its effects are more pronounced among the poor. Consequently, gender inequality intersects with economic deprivation to produce more intensified forms of poverty for women than men. Gender inequality structures the relations of production and reproduction in different societies. Men play a critical role in earning household livelihoods in much of the world but generally play a negligible role in the unpaid work of reproduction in the domestic arena. Women, on the other hand, play a critical role in the unpaid work of caring for the family. As such women and men experience poverty differently and unequally and become poor through different, though related, processes. Poverty and gender inequalities, therefore, have to be tackled at the societal level as well as through explicit interventions tailored to addressing specific forms of disadvantage. Culture is often used to justify inequality or to act as a constraint to equality. But, culture is a living thing created by people and therefore, changed by people. Throughout the centuries, it has always adapted to changes in human beliefs and ways of being. Therefore, as women and men push for more opportunities and choices for themselves, their children and their elders, their culture will adapt accordingly. While it is important to view the complementary and interdependent nature of gender roles, it is also important to challenge those stereotypes and attitudes that keep people in low status and prevent them from reaching their full potential. In other words, women and men have to build respect for each other’s roles and goals in life, share resources and decision-making, and demonstrate mutual support for gender equality to become a reality.